As the weather slowly warms up here in Melbourne my mind has been filled with ideas for things I want to sew for the spring/summer months ahead. 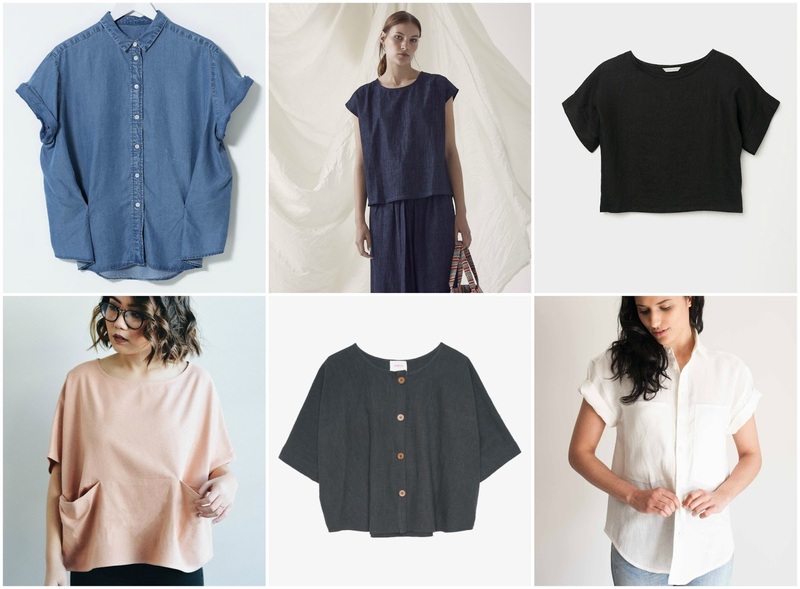 I thought it would be useful to bring all of my ideas together into a rough sewing plan, taking inspiration from some ready-to-wear pieces I’ve been admiring. What the weather was like last year, what I felt comfortable in and what I wore most. Trans-seasonality. Because spring/summer temps here can sometimes be erratic (jumping from 25°C one day to 38°C the next!) I want to make clothes that are suitable for the heat, but can be layered and worn in cooler weather too. 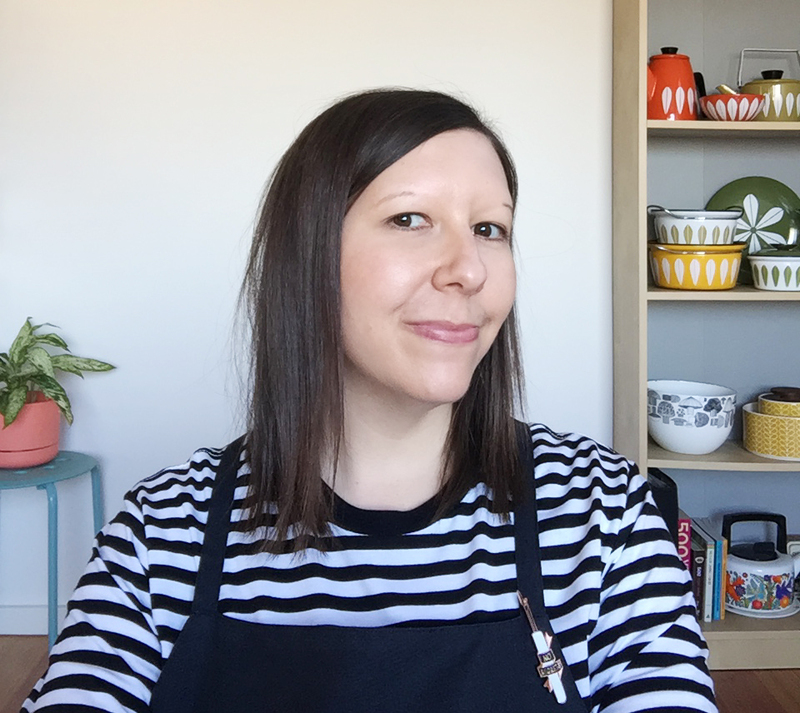 Capsule wardrobe mindset – focusing on key pieces that can be mixed and matched, and that I’ll get a lot of wear out of. Keeping things simple. My sewing time is limited, so I need to be realistic about what I can achieve during those precious sewing hours. Bearing these things in mind, here’s a rough plan of what I’d like to make. Last year I made a self-drafted black cotton-linen blend elasticated skirt, with splits at the sides and big pockets; a copy of a skirt I’d seen in Cos. At first I was a little unsure of what to wear with it, but paired with a three-quarter sleeve stripy tee, this outfit ended up in pretty high rotation. This year I’d like to make one or two more in lightweight linen, double gauze or Tencel to pair with t-shirts or woven boxy tees. The Bel Skirt from Elizabeth Suzann is exactly the kind of look I'm after (although time will tell if I can pull it off!). I’m all about the woven boxy tees! 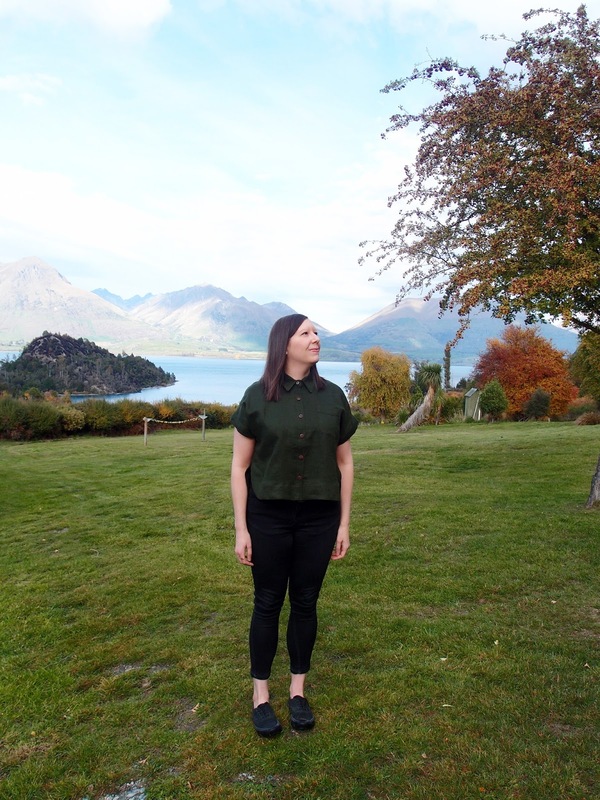 I usually adapt the free Grainline Studio Hemlock Tee pattern to make it suitable for wovens, but recently purchased the Marilla Walker Maya in a sale, so will no doubt give that a go. And as mentioned in my previous post, I need to replace my black viscose Sutton Blouse that has sprouted a few holes. I also love wearing button-ups, and making them with short sleeves mean I can wear them throughout the year (paired with a cardigan or jacket in autumn/winter). I have a denim Tencel cropped Kalle Shirt in the works, and all going well may make another before summer is out. Last summer my Nani Iro Inari Tee Dress got rolled out any time the temperature hit 35°C or more (which happened more often than I'd like!). The double gauze is loose and light enough to make those hot days kind of bearable (can you tell I don’t like the heat? And I grew up in Queensland!). This year I’d like to make another, and I’m eying off this Nani Iro fabric (yep, black in summer all the way). So basically, my formula for hot weather is going to be double gauze + sack dresses. 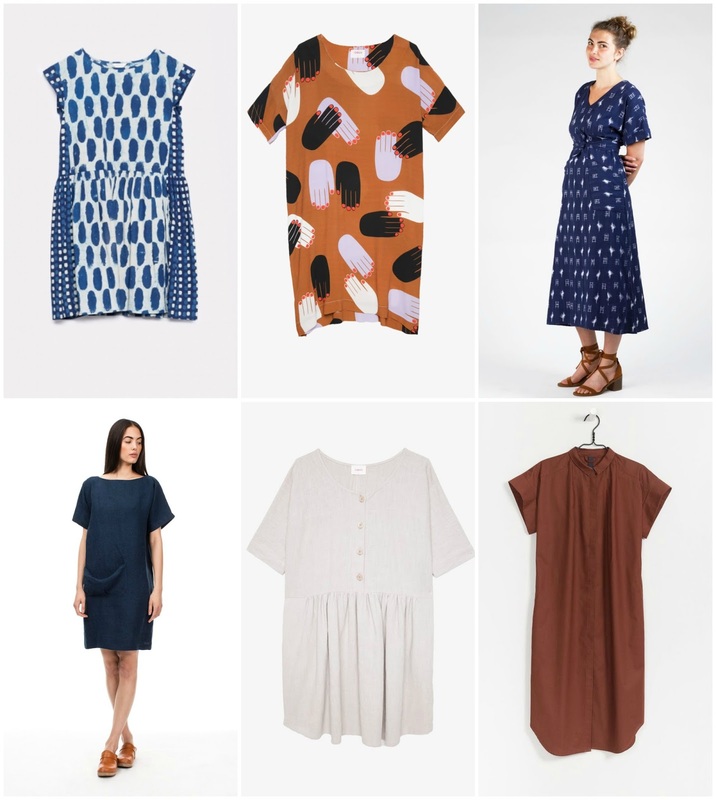 I’d also like to make the Kalle Shirtdress, probably also in denim Tencel, and a loose, drapey boxy dress (I really like the I Am Cassiopée with short sleeves, but may just end up mashing up a couple of patterns instead). I get a lot of wear out of my black Marilla Walker Dungaree Dress, so also have plans to make another in lightweight denim, and would love to tackle the Tea House Dress at some point (the paper pattern is going on my birthday wishlist). 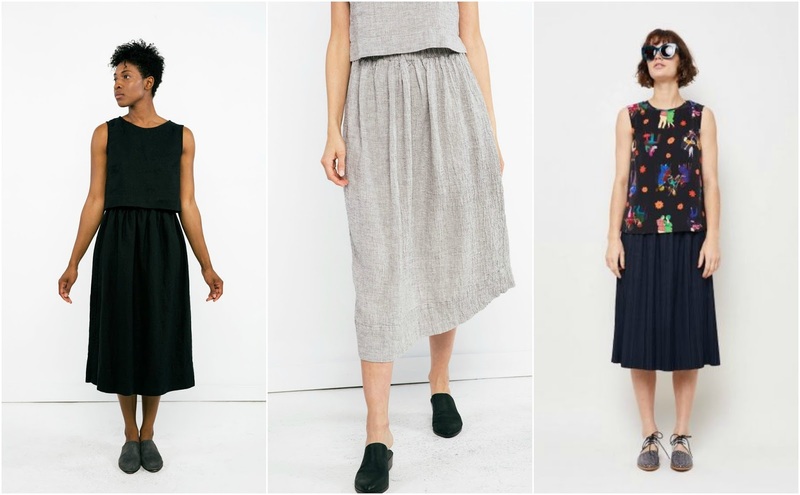 I love my Ninni Culottes, and would really like to make a spring-friendly version if I can find the perfect black lightweight linen. 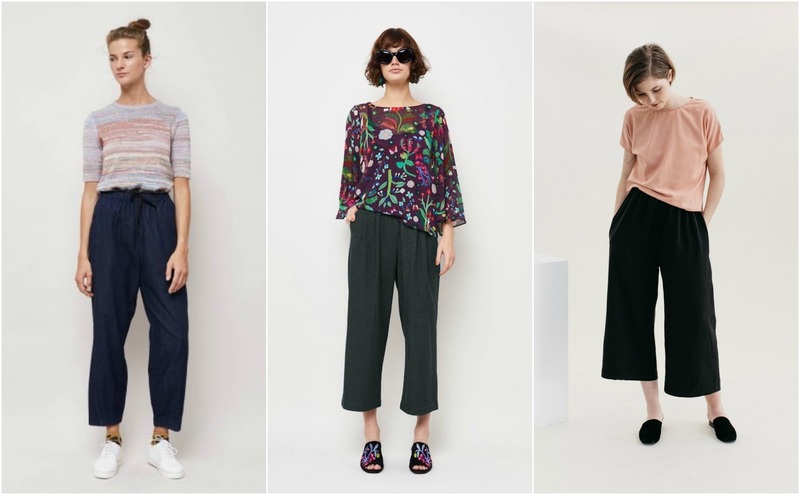 I'd also love to give the Named Alexandria Peg Trousers pattern a go in linen or Tencel twill. I think this should see me through the next two seasons (and then some). It will be interesting to come back at the end of summer and compare these plans with what I've actually made! Always happy to be enabled. You know, I’ve never visited the Cloth Shop. I feel I need to rectify this immediately!